Sterling Silver Double Hook Bracelet with 14k hand twisted roping that accents the hook system. This bracelet is designed for all the interchangeable multi settings. After owning this bracelet you're able to refresh it's look and style simply by changing the multi setting. 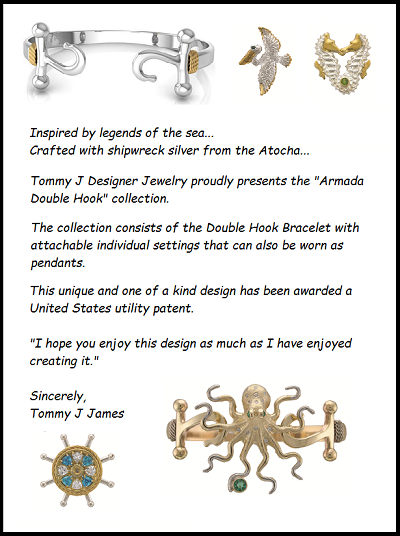 Armada Hook Bracelet - "Santa Margarita"